I have been with Closet Factory Cleveland since 2006, and spent five years before that as a designer with another Closet Factory in Texas. There aren’t many design challenges I haven’t encountered in that time. My previous experience included creating retail store floor plans and designing store fixtures and custom checkout counters. 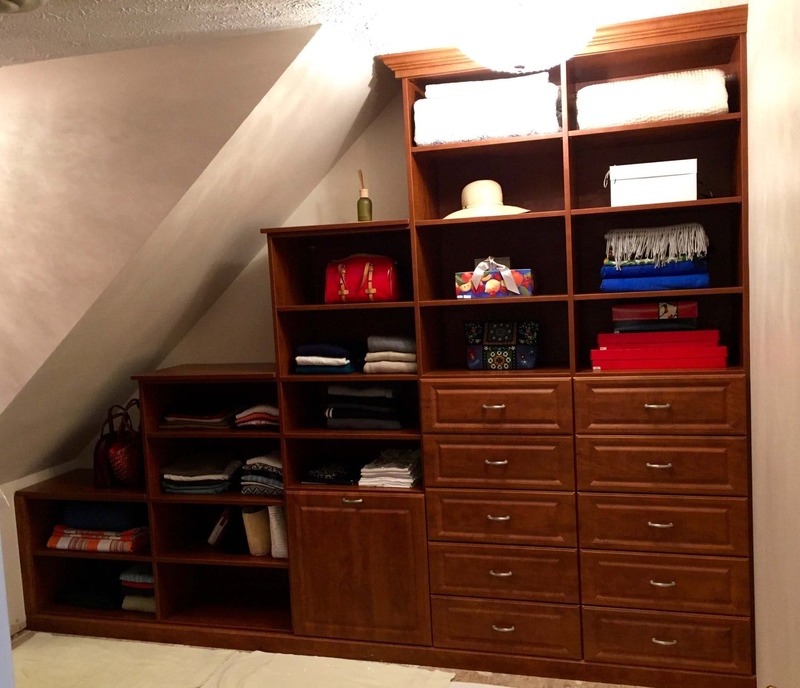 That experience, combined with my membership in the “clothes horse club,” made the prospect of a career in closet design seem to be a perfect fit! 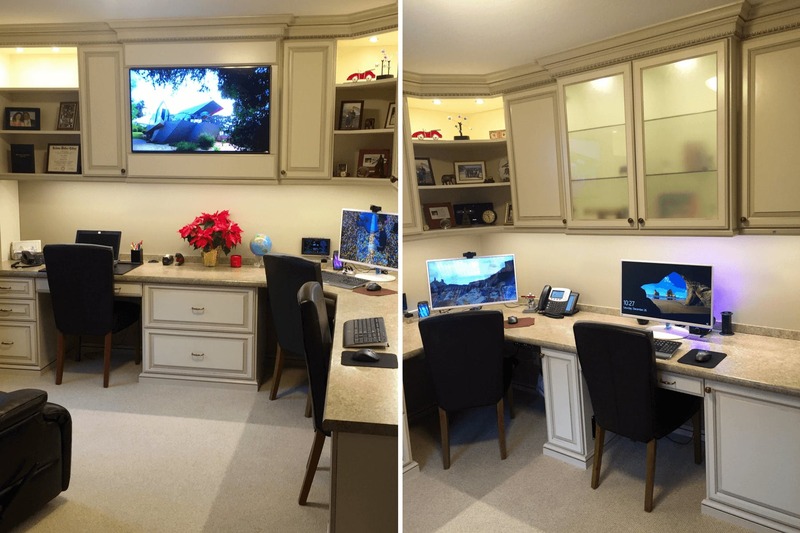 A lot of things have changed since my early days in the industry, but the thrill of creating a storage solution that will make every day better for my client never goes away. 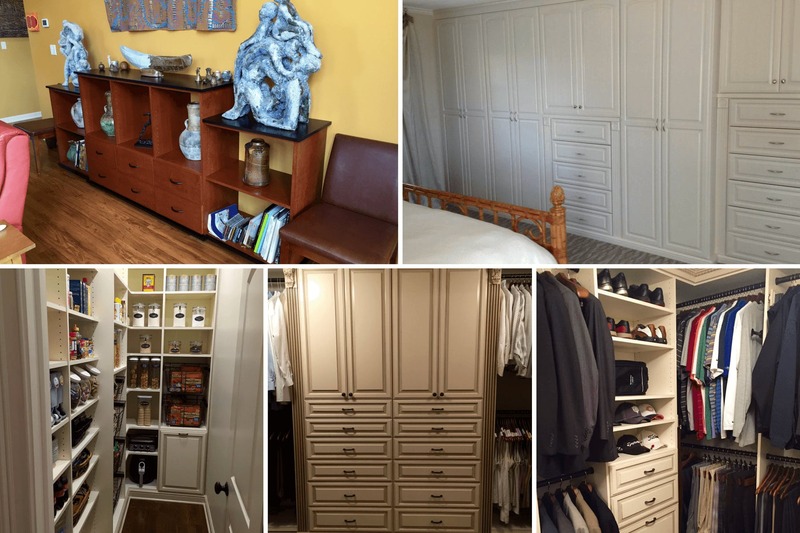 Whether it’s a classic melamine closet or a custom finished wood library, my goal with every client is to exceed their expectations and make their Closet Factory experience the best home improvement project they will ever undertake. I take the time to listen and understand the needs of every person I work with, and look forward to developing a relationship that will make me their designer for life. I am an animal lover and frequently foster for a local dog rescue, so don’t be surprised, or offended, if I introduce myself to the family pets first! Separating clothes by use, for example, work vs. play, dressy vs. casual, etc, is a great timesaver, especially when getting ready for work in the morning. Storage is important in a laundry room, but carving out space for a counter, even a small one, is helpful for sorting, folding, spot treating or even just setting down a laundry basket. Appropriate task lighting is important in offices and craft rooms, but attractive feature lighting like display spots or up-lighting can take the space from practical to perfect. The first thing my mind does, almost unconsciously, is start to see the space in “top view”, complete with obstructions like angles and windows. This allows me to quickly identify the most usable space as I work with the client to visualize the solution. Finished attics and bonus rooms with steeply angled ceilings are not uncommon in the Cleveland area. While not necessarily the toughest one I’ve seen, the one that I was most happy with, as was the client, was a finished bonus space above a garage. The client had already opened a door through the existing master walk-in and finished the walls all the way back to the very low exterior walls. 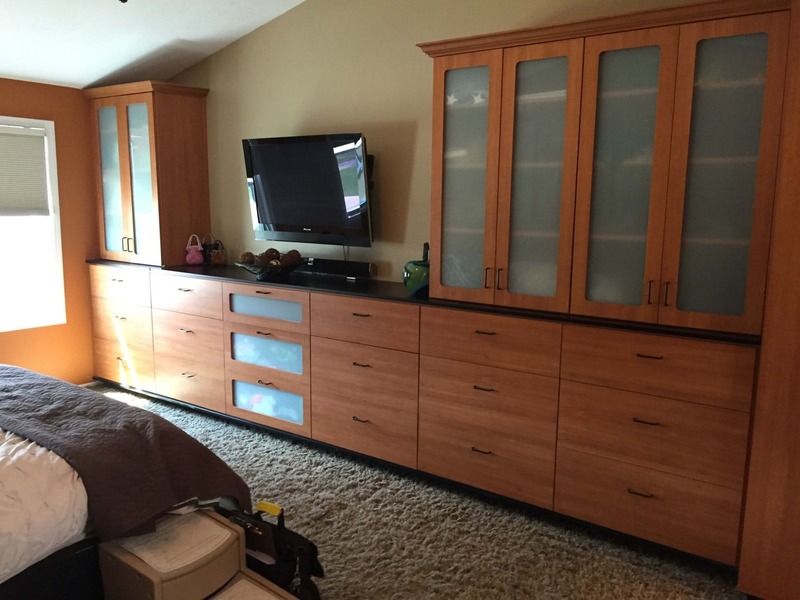 A combination of angle-topped full panels and half panels with decorative overlay tops created a spacious master for the wife and left three feet of accessible storage behind each side. A matching dresser in textured melamine became the focal point under the window at the end. Some people really have a picture in their mind of want they want, but those tend to be the exception rather than the rule. I try to explain things in great detail, using a lot of photos to help with visualization. I ask many questions to make sure I know what they want and what they need. I bring lots of samples to touch and feel, and I always encourage my clients to come to the showroom to finalize their selections. I try to get a general impression of their style from the existing home décor, while making sure not to assume that it reflects their current tastes. They may have just moved in and been planning to replace the existing cabinets or flooring, changing the paint colors in the whole house, or getting ready for a major renovation. It’s important to ask the right questions before zeroing in on a particular style. Having a place for everything in the office makes for a peaceful space. The time saved by not having to search through stacks of papers or overflowing cabinets or drawers will immediately improve efficiency. Sufficient desktop workspace prevents the need to juggle papers or equipment, making tasks easier to carry out. I’ve done several laundry rooms/mudrooms in recent years where stacking the washer and dryer opened up space for a counter, bench/locker, or dog crate. 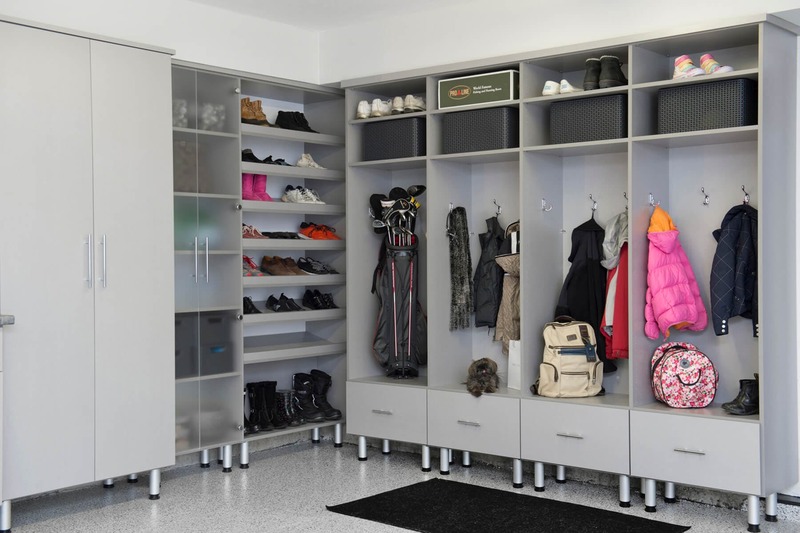 Creating locker spaces by tearing out existing coat closets or adding benches and storage around the corner in the garage is another trend for families who don’t have the luxury of a real mudroom in their home.